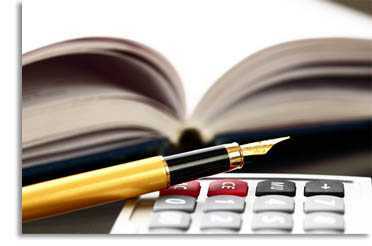 A bachelor's degree in accounting is the primary degree program that individuals seek to become a practicing accountant. This undergraduate degree program will train an individual to perform job duties in the areas of taxation, auditing, financial accounting, and management accounting. It is important to realize that this program is extremely different from a general business degree that focuses on accounting. A general business degree that focuses on accounting does not make it possible for an individual to practice the four primary areas of accounting that were previously mentioned. To receive your bachelor's degree in accounting, you will more than likely have to attend school for approximately four years at a college or university. Start your online account bachelor degree today! To prepare yourself to begin working on your degree in accounting you will probably be required to take beginner courses such as introduction to accounting and principles of accounting. Once you are further into the concentrated courses for your degree program you will be expected to complete courses like intermediate accounting and cost accounting. As a senior who is nearing graduation, your traditional college or university may require you to take an advanced accounting course that culminates with an in-depth semester project. Upon completion of your degree in accounting you will be eligible to seek employment as a public accountant, a private accountant that only services a specific company, or an individual who manages practically all of the business aspects of a smaller company. In your job capacity as an accountant you will spend much of your time providing financial services and skills to your client or clients. This may involve you advising individuals on how to make financially sound decisions or helping to create a budget. Search above and find schools that offer online accounting bachelor degrees. While working on the courses required in a online accounting bachelor degree program you will be required to complete core courses that are related to management, statistics, economics, and research methods. These courses are common to most all students who are pursuing a business related degree. As you begin narrowing the focus of your degree you will begin taking courses that are more accounting specific and you will begin learning skills that you will actually use in your future career. At this point in your education you may also want to choose an area of accounting to focus on more specifically. As with any other bachelor's degree, an individual who is seeking a degree in accounting will be required by the college or university to complete elective courses. Students who are majoring in accounting will be wise to complete elective courses that are related to accounting, or at the very least related to the business world. For instance, if an individual plans to practice accounting services in an area with residents who speak multiple languages, then it may be smart to complete elective courses that will train them in a secondary language. If a prospective accounting graduate plans to own their own business, then elective courses related to entrepreneurship would be a wise choice. Once you graduate from college with your online bachelors degree in accounting you’ll have the opportunity to start applying for accounting jobs. The accounting industry has lots of different avenues you can pursue in terms of employment. Below are just some of the top paying accounting careers. Bookkeeper: As a bookkeeper you’ll complete transactions for the company you work for including preparing reports for management for internal use. You’ll also work with the accounts payable and receivables in accounting as well as assist in preparing PNL’s. Some schools offer bookkeeping certificate courses. Accounting Auditor: Your job will involve looking into corporate books, conduct payroll and payroll taxes. You’ll compare recorded entries from accounting and audit the companies spending numbers. Some larger companies hire internal auditors where others will hire outside 3rd party consultants. Account Receivables: Be responsible for processes payments from invoices received. You’ll work with an accounting staff and other vendors to even negotiate deals. Billing Assistant: Prepare bills to be paid by accounts payable. Work with accounts payable department with other duties regarding billing. Accounting Manager: Running an accounting department is not easy. As an accounting manager you’ll deal with controllers, accounts payable, accounts receivable and corporate management. Cost Accountant: As a cost accountant you’ll review corporate expenses and make recommendations to management regarding cost cutting measures. Accounting Controller: Controllers are responsible for PNL’s and work directly with executives and CEO’s. You’ll evaluate all budgets, profitability and take measures that lead to more profitability for the company. One of the goals of any accounting major is to graduate and then earn your CPA license. Licensing is a process that requires the right amount of education as well as passing the CPA exam. Take these steps to become a CPA. Earn that accounting bachelors degree first. Education – The first step is to enroll in a accredited accounting program. State licensing could vary but most require a total of 150 hours. Once you graduate with your Bachelor’s degree you will need to take additional classes if you don’t continue on with a master’s degree. CPE Exam – The CPA process can take a long time to complete. You’ll need to study to pass 4 main sections of the CPA exam including audit and attestation, regulations, financial accounting and reporting and business environment and concepts. Once you pass one of the exam sections you have to pass the other 3 within an 18 month period. It is recommended that you also get assistance from third party CPA exam prep companies as they can train you on all the sections, or sections that you failed. Prepare Resume – Even before you earn your CPA license you can start applying for jobs. Some companies will even help you study and pay for the CPA fees. Once you have your CPA you’ll be very desirable. Finding the right college can be hard and if you are interested in a career in accounting then the first step is to get the right education from the right school. The colleges we have listed above offer online accounting classes so you can start the process and earn your bachelors degree in accounting. Take that first step toward your education and start today!